Akshay Kumar is all set to go up against 10,000 Afghans with his battalion of soldiers in his upcoming film Kesari. Now Khiladi Kumar has shared the first video glimpse of the movie. 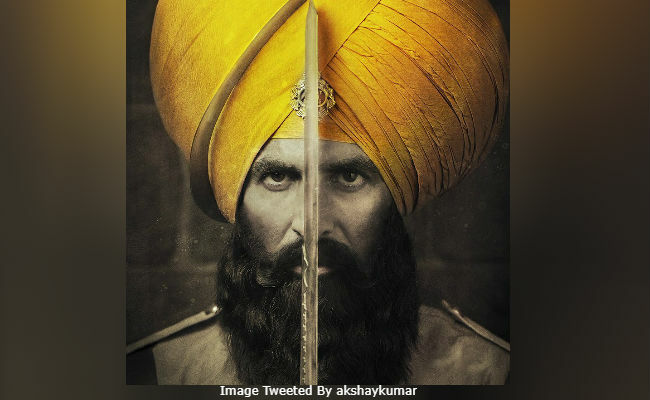 The actor has been sharing glimpses from the film for quite some time, and today, Kesari's new poster was unveiled by Akshay on social media. The third teaser offers the only good look at Akshay has he fires his rifle at the enemy. Along with the poster, he wrote, "Unraveling the pages of history to the bravest battle ever fought". He started the day by sharing a poster of the movie wherein we see his character Havildar Ishar Singh, in all his glory. This battle stood different as only 21 Sikhs, who were a part of the British India regiment protecting the forts of Lockhart and Gulistan on the border areas of Afghanistan, took on 10,000 Afghan soldiers, who attacked Saragarhi. Along with the post, he also shared that the team will share the glimpses from the film later in the day. Since morning, we have been watching glimpses of the film as before the official trailer releases on February 21.